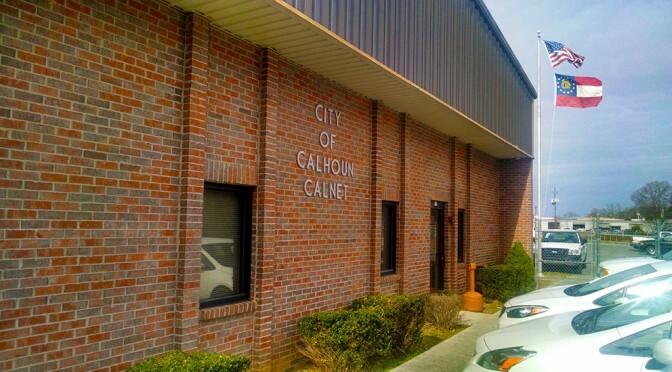 Formed in 1997, the City of Calhoun Telecommunications Department, CALNET, provides world class telecommunication services to businesses in Calhoun and Gordon County. CALNET began by offering services on SONET, the same technology used by many of the major carriers at the time, and quickly adopted Ethernet as the technology of the future. In 1998 CALNET was the first company to offer service over fiber installed at the customer’s premise and the first company in Calhoun to offer 100 Mb Ethernet service. In 2016, CALNET began a system wide upgrade project that will allow service speeds of up to 1 Gigabit. CALNET owns and manages over 90 route-miles of fiber optic plant, serving over 100 businesses with high-speed Internet and point-to-point Ethernet circuits. Our business partner relationships with other carriers provide opportunities for local companies to connect to anyone, anywhere in the world. If you need service, call for a quote. If you have a unique challenge, call us to discuss. We’re interested in trying to solve our customers’ communication needs. CALNET strives to provide the best customer experience, the best service and the latest technology.